(AP) ASHGABAT, Turkmenistan - Turkmenistan's authoritarian leader has proven he doesn't only win elections easily, coming first in a car race he wasn't even supposed to take part in. Berdymukhamedov initially favored a low-key style after taking power in the wake of his eccentric predecessor Saparmurat Niyazov's death in late 2006, but his public persona has become subject of an increasingly grand mythology. He won presidential elections in February with 97 percent of the vote. His choice to travel to Saturday's race in a Bugatti was in stark contrast with his preferred mode of transport during the elections, when he drove to a polling station with his family in a cramped Soviet-era Zhiguli  a car much derided in the West for its unreliability. 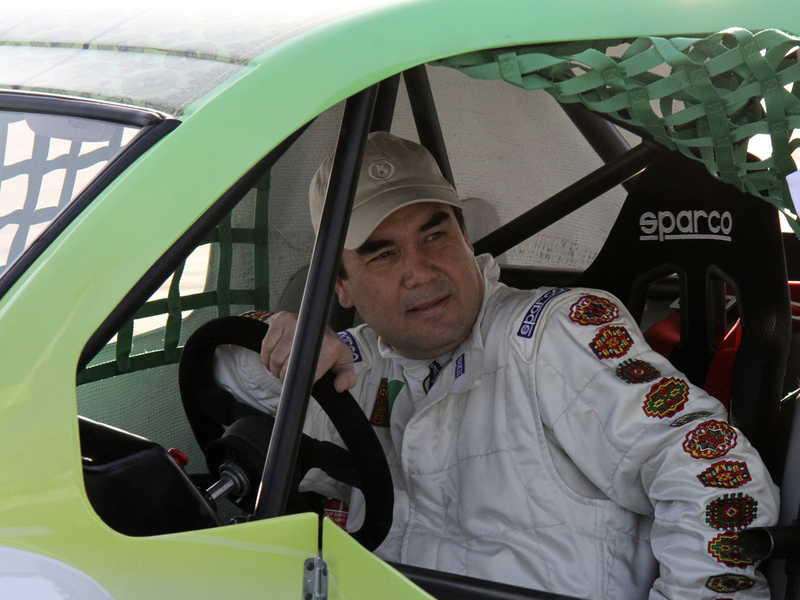 The government is loudly proclaiming the need to turn Turkmenistan into a sporting power at the behest of the fitness-obsessed president, and the race was touted as the opening salvo in the country's plan to develop competitive automotive sports. The energy-rich desert nation, which gained independence amid the collapse of the Soviet Union in 1991, has never won a medal in the summer Olympic Games. Berdymukhamedov's predecessor, Niyazov, was celebrated in a cult of personality that saw cities, streets, months, periodicals and public organizations after the leader and his family members and made a two-volume spiritual tome he wrote mandatory reading. In a vein reminiscent of Niyazov's title of Turkmenbashi, or father of all Turkmens, state media now routinely refers to Berdymukhamedov as Arkadag, which is Turkmen for protector.